Parsons was an hydrographer for the British Admiralty in the 19th century. He did a great deal of field work in the West Indies. 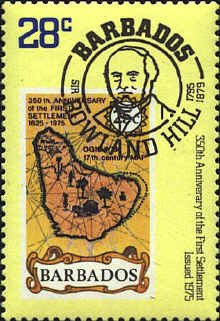 He made surverys in the St. Vincent Grenadines in 1859-1861. 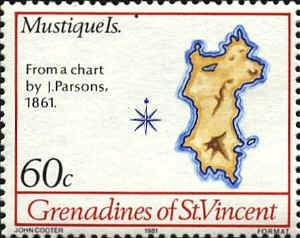 He completed his chart of the Windward Isles in 1861, and made a plan of Admiralty Bay in Bequia in 1862. 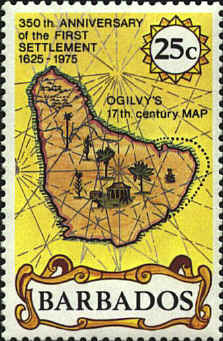 Ogilvy (John Ogilby) (1600-1676) began as a dancing master and finished as Cosmographer Royal. 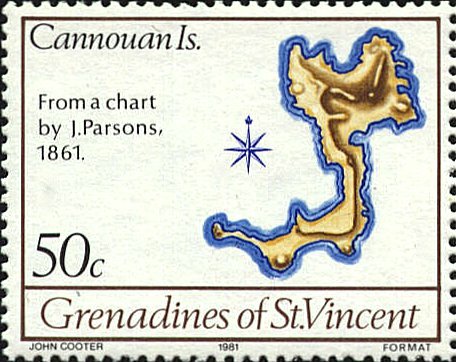 His map of Jamaica which appears on two stamps, would have been published in his geographical and historical account of America issued in 1670.